25 pedestrians died in car accidents in New York last November according to the recently released NYPD car accident statistics. 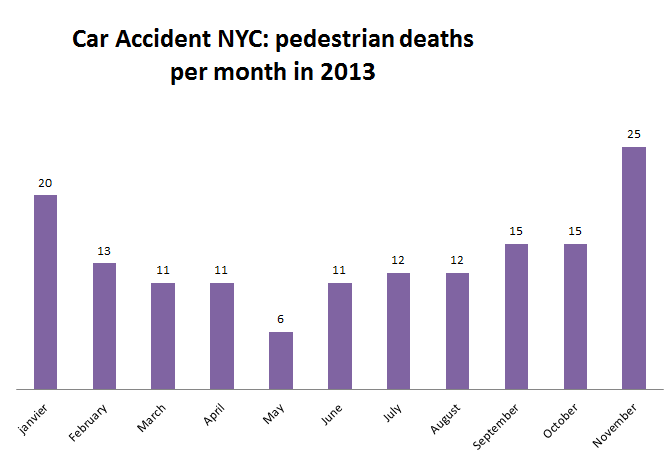 This is the highest number of pedestrian fatalities per month in 2013. 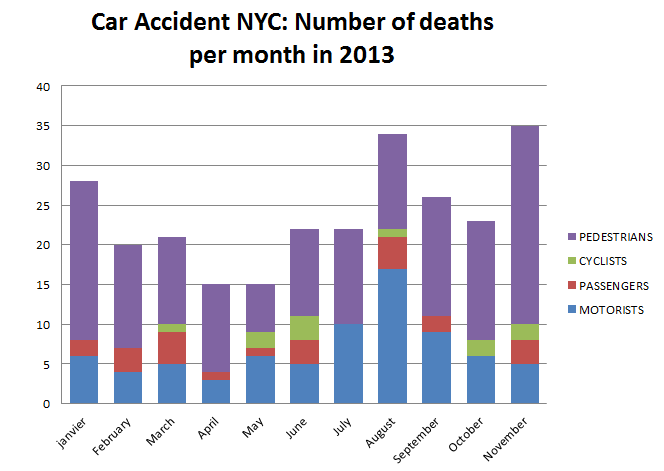 In comparison, the number of pedestrian deaths in November 2012 was 8. Among these 25 pedestrians struck by a car, 6 were in Manhattan, 8 in the Bronx, 3 in Brooklyn, 6 in Queens and 2 in Staten Island. 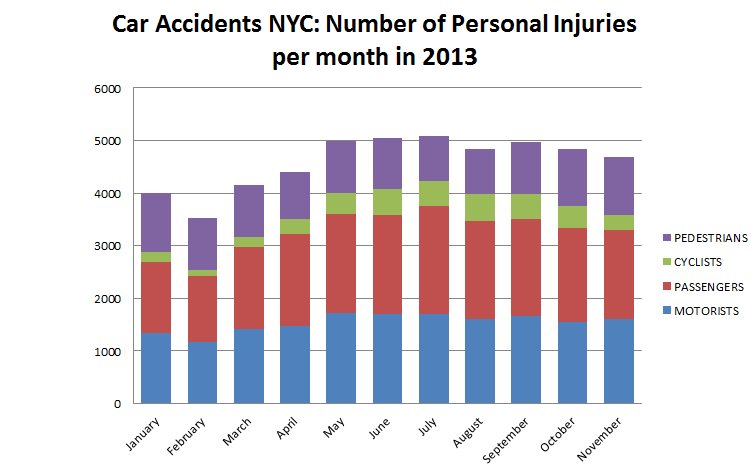 4692 people suffered personal injury in car accidents in NYC in November compared to 3977 in November 2012. 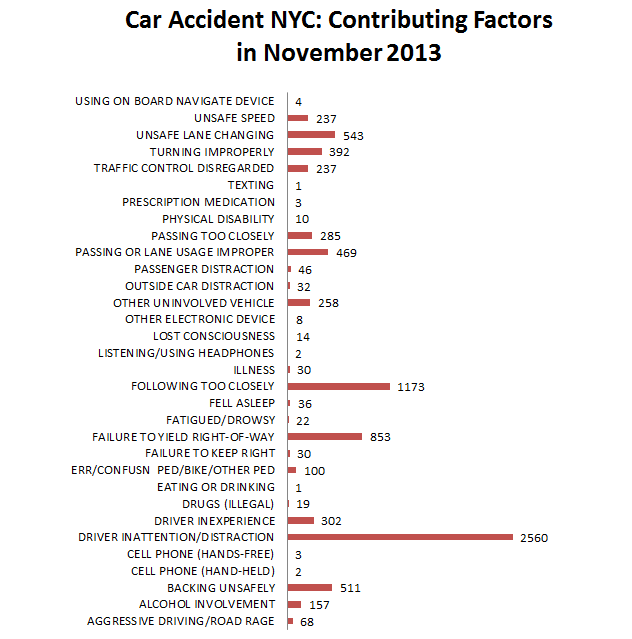 Distracted drivers were responsible for 2560 car accidents in New York City in November 2013. Distracted Driving is the most common contributing factor to car accidents in New York.